Lovely, bright Bungalow recently updated in this Congress Central neighborhood - lovely mature trees line the streets - friendly neighbors!! Owner Added third bedroom and 2nd full bath...all permitted and Sparing No Expense! Kitchen has Quartz countertops, New cabinetry, New stainless steel appliances - bringing a sleek Contemporary look to this 1920's home! Subway tile in the kitchen and bath too! NEW thermal double-pane windows - AC and Heating! Detached parking garage! New Gas range and stove. New dishwasher and Refrigerator as well! 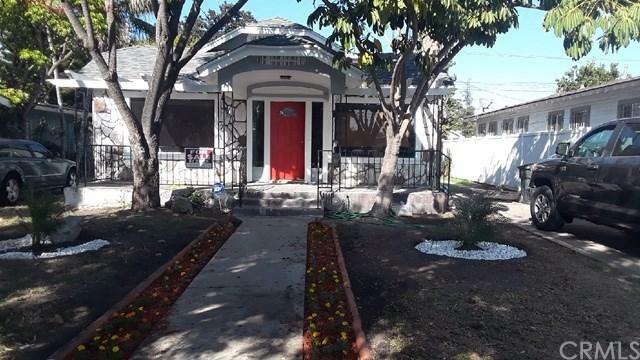 Everything you need to get started... Don't miss this Cozy Bungalow GEM...Call Today for your Exclusive Showing!Located in the Congress Central neighborhood in Los Angeles. Nearby parks include Stocker Plaza, Martin Luther King Junior Park and Angeles Mesa Park. 55 Walk Score and 53 Transit Score!! Sold by Lester Crawford of Azure Realty.